Autocares Falcón León has a 12-coach fleet for your events or celebrations. 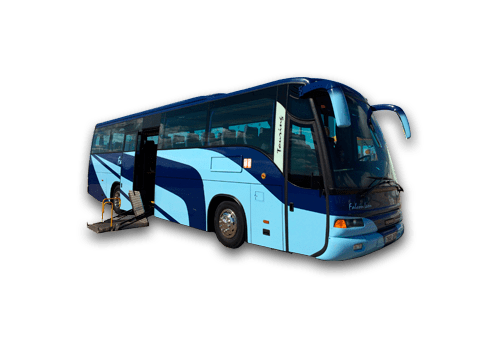 We have coaches and minibuses with different capacities that are continuously upgraded with the newest market models to ensure compliance with the quality standards of the sector. 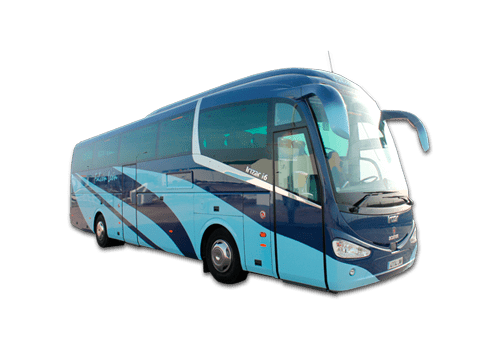 You can hire our comfortable 37- and 55-seat coaches suitable for long-distance travel. If you prefer, you can choose our smaller minibuses for up to 26 people, which are as well-equipped as the larger coaches. We offer our 37- and 55-seat coaches for long trips. 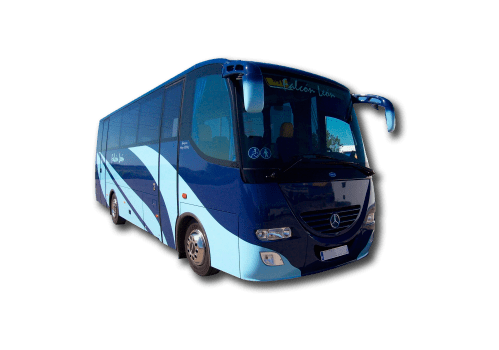 Both are ideal for the Iberian Peninsula tours organised by travel agencies that need to accommodate a large groups, and for corporate trips with a large staff. 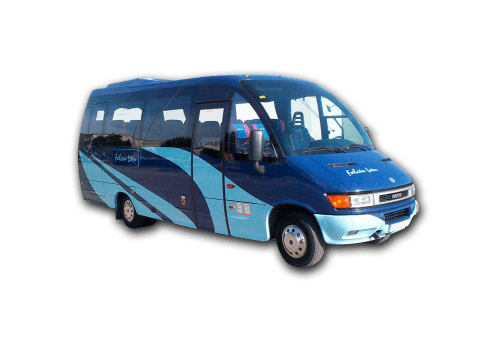 If your group is smaller than the coach’s capacity, you can hire our 26-seat minibuses. Although smaller than the coaches, they are also fully-equipped with the amenities needed to ensure the safety and comfort of your trip. Suitable for getting around the city, they are widely used for transfers to the train station or the airport. This is also the most affordable option for an excursion with family and friends. All our buses are equipped with cutting-edge technology to make your trip as enjoyable as possible. Coaches with roll-over protection and ASR-ABS-ESP system, ready to travel in snowy conditions. For greater peace of mind, the emergency door-opening mechanisms and braking assist system will help avoid unpleasant surprises. In the case of children, our entire fleet is equipped with real-time GPS locators. It also complies with Royal Decree 443/2001 on safety measures for school transportation. All our vehicles are equipped with air conditioning and convector heating system in the passenger compartment to ensure a comfortable temperature. The reclining seats are another feature that will make sleeping a pleasure. Wi-Fi is a reality. This is why we provide free Wi-Fi on all our coaches, so you can connect to the Internet using any device.